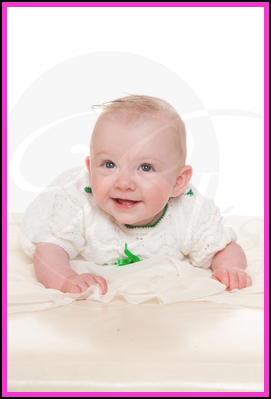 Lilly came in for her first baby photos at just five months old. Already she has an adorable personality, with an irresistible laugh. First up Lilly had some photos in a sweet little knitted outfit that looked nice and cosy as she lay there giggling and playing. 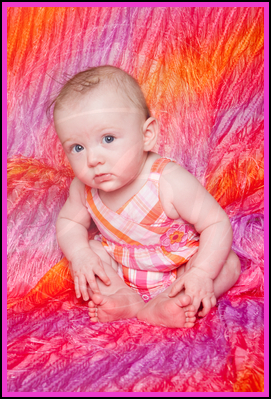 Then after a quick wardrobe change ahe had some fun bright baby photos on some matching material. Then Lilly abandoned clothes all together and took some absolutely adorable nudie baby photos.